SuperValu is part of the Musgrave Group, Ireland's largest grocery and food distributor. With 223 stores throughout Ireland, SuperValu has served the people of Ireland for over 30 years and has become a well established landmark across Irish communities. 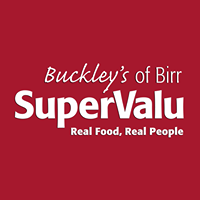 Buckley's Supervalu Moate is located on the Main St. at the heart of the town.